2 Deluxe Vacation Rentals. 1 Beautiful Property. We specialize in hosting touring groups and families on our 3 acre property. We can accommodate 8 single persons or 4 couples in our Lodge, and up to 4 persons in our Loft. “The Lodge” has 3 bedrooms, sleeping loft, veranda and 2 huge bathrooms. Sleeps 2 to 8. It’s bright and spacious with an excellent kitchen, laundry and space to relax. 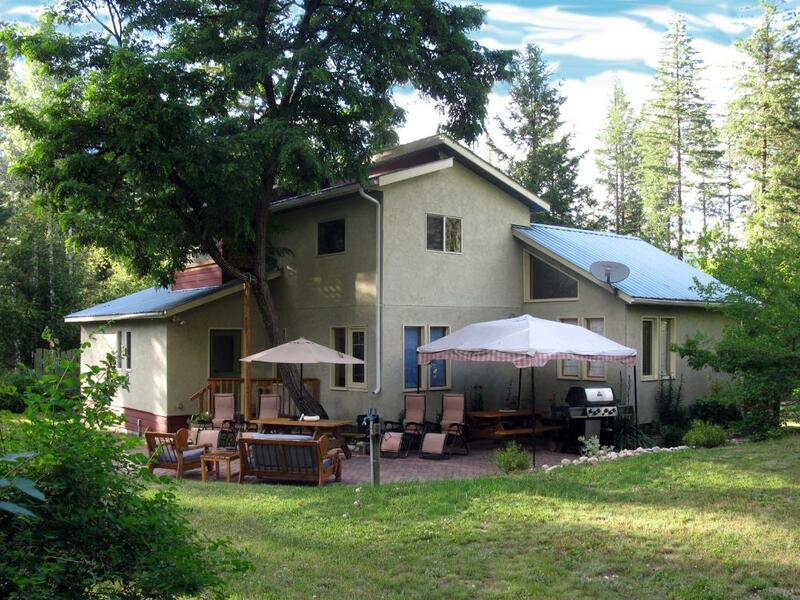 It has a large private fenced yard with a big patio, BBQ, waterfall and fish pond. “The Loft” has a gorgeous Japanese style bedroom, 3 beds, kitchenette, wood cookstove and bathroom. Sleeps 2 to 4. It’s a sunny open plan space with high ceilings and forest views from the 2nd floor. It has a private entrance and small deck. Check out our website! It has: slideshows of both rentals, rates, reviews, local information and up-to-date calendars. We’re located on a quiet forested setting in Winlaw at the center of the Rail- Trail. You can bike to the trail, the store or 3 café’s in 5 minutes!